Archaeologists believe that the first Native Americans entered the New World by way of the Bering Strait. This migration took place during the “Ice Age.” or Pleistocene. They crossed the strait when lowered sea levels between Siberia and Alaska ex­posed a land bridge. We do not know the exact date of the first arrivals, but most historians agree that it occurred between 15.000 B.C. and 20.000 B.C. Many of these first arrivals contin­ued south until they arrived in the ice free corridors that we now know as New Mexico. Arizona. Texas, and northern Mexico. These first people were hunters and gathers. They hunted jack rabbits, pronghom antelope, mammoths (extinct). Pleistocene horses (extinct), fox. gophers, squirrels, and deer. They foraged many types of plants, but lacked the pottery to cook them. Mostly, they lived in caves or under rock outcroppings. Professor Gualberto Zapata Alonzo author of the book, “An Overview of «he Mayan World.” tells us that there are. “enough coincidences to make me believe that Mesa Verde may have been the legendary Chicomoztoc.” He continues by stating that although there are numerous caves at Mesa Verde with interior build­ings, there are only seven important ones. Archaeologists tell us that Mesa Verde was occupied sometime between I A.D. and 450 A.D. These first people were known for their high quality of woven baskets. Then, by the second period, from 450 to 750 A.D.. pottery, houses with roofs, and the bow and arrow first ap­peared. After 750 A.D.. they began to use adobe, and stone masonry. In 1276 A.D.. a twenty-four year drought began, forcing the abandonment of Mesa Verde. The inhabitants emigrated south never to return. 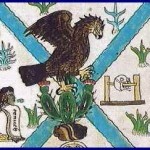 The Aztecs were known to have traveled for a very long time. 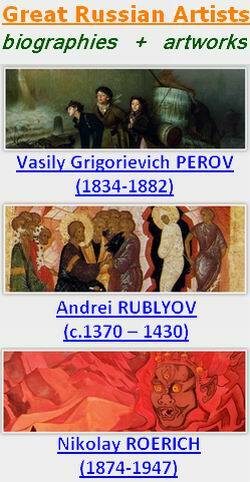 They settled in many places due to a variety of circumstances. The Aztecs preferred to settle where there were lakes. Finally. 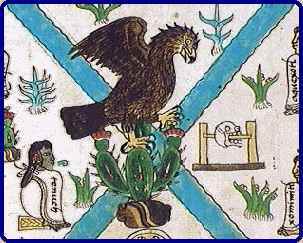 around 1325 A.D.. guided by their leader Tenoch, they arrived at a tiny island in the center of Mextliapan lagoon where they saw an eagle devouring a serpent on top of a nopal cactus. According, to Aztec mythology this was the sign for them to settle down.